It seems like a lifetime ago when Francis Ngannou handed Curtis Blaydes a loss in his UFC debut but, in reality, it was just 2016 when the two top five-ranked heavyweights last clashed. On that night, Ngannou got the better of the battle while showcasing his powerful striking attack to earn a TKO victory after a doctor would not allow Blaydes to continue after the end of the second round. Since that time, Blaydes hasn’t tasted defeat again in six straight fights, including a vicious TKO over Alistair Overeem in his last trip to the Octagon. Meanwhile, Ngannou continued to win after beating Blaydes until he ran into former champion Stipe Miocic and he then lost his second straight fight in a forgettable performance against Derrick Lewis. Now Ngannou will attempt to turn things around while facing the streaking Blaydes, who is going to attempt to make his case for a shot at the belt if he can avenge the only loss of his UFC career. Before they face off for a second time in the main event of Fight Night Beijing on UFC FIGHT PASS take a look back at Francis Ngannou and Curtis Blaydes first meeting from Fight Night Zagreb in 2016. Former title challenger Alistair Overeem will attempt to get back on track following two straight losses when he takes on undefeated Russian newcomer Sergei Pavlovich. While Overeem has endured a tough stretch, his two losses have come to the heavyweights fighting in the main event and he’s now training full-time alongside Blaydes in Colorado. Overeem remains one of the best heavyweights to ever compete in mixed martial arts and he’ll look to prove that on Saturday in China. As for Pavlovich, he’s 12-0 as a professional with nine of those ending by way of knockout. Considering the striking prowess possessed by both fighters, expect some serious fireworks in this heavyweight co-main event. With a pair of dominant victories in his first two fights, Song Yadong is quickly becoming one of the best prospects to come out of China. Song is an offensive juggernaut whenever he competes and he has turned in a pair of eye opening performances since debuting in the Octagon. Vince Morales will attempt to stop his run and pull off the upset after accepting this fight on short notice. The former Dana White’s Tuesday Night Contender Series veteran has gone 6-1 in his past seven fights and he’ll look to make waves in his UFC debut. 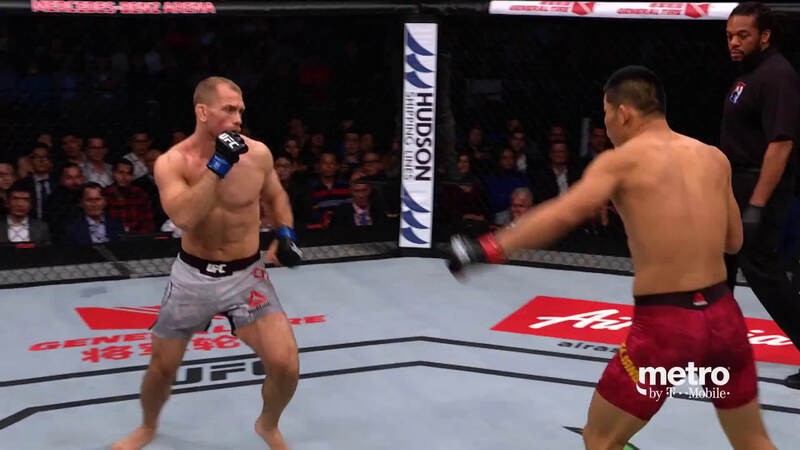 Since first debuting in the UFC in 2014, Li Jingliang has consistently put on exciting fights while racking up four finishes by knockout during his career spent inside the Octagon. The last time Li fought at home in China he also took home a Performance of the Night bonus, so he’ll definitely try to duplicate that again this weekend. Accepting the fight on short notice, David Zawada will try to play spoiler after losing a razor close split decision to Danny Roberts in his debut. Now the German welterweight will attempt to turn things around while facing Li in China. 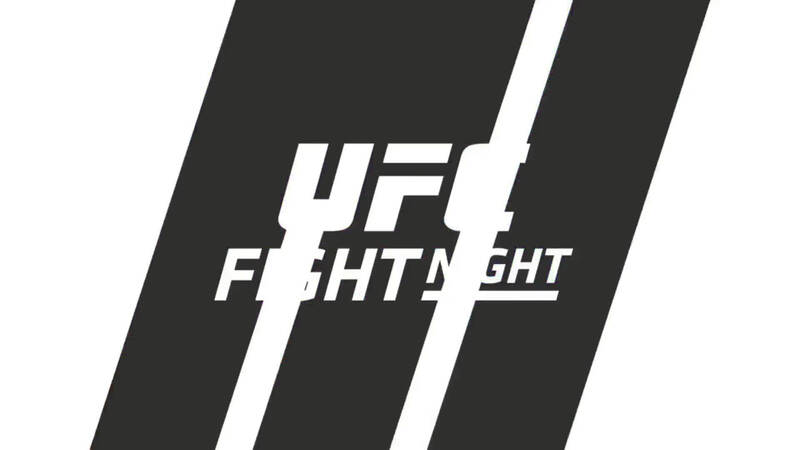 Welterweight prospect Song Kenan has gotten off to a blistering start in his UFC career with two wins, both by knockout, including a stunning 15-second finish in his debut. Song will go for three in a row when he takes on a tough test in Alex Morono in China. Morono has suffered through a lot of peaks and valleys since joining the UFC roster, but he’ll attempt to steady the ship when he faces home country favorite Song. Lauren Mueller might be one of the most promising prospects in the women’s flyweight division after she joined the UFC by way of Dana White’s Tuesday Night Contender Series. She followed that up with a win in her Octagon debut and now Mueller will look to move to 2-0 in her UFC career. Wu Yanan is still looking for her first win after falling short in her UFC debut against Gina Mazany. Wu has a very exciting style with a lot of offensive output, so this should be a war at 125 pounds. Following a tough start to his UFC career as a heavyweight, Rashad Coulter will drop down to 205 pounds and look for his first win where he faces Hu Yaozong on Saturday. Hu also came up short in his first fight inside the Octagon but previously scored three straight finishes, so he’ll attempt to return to form when he face Coulter in this light heavyweight showdown. It wasn’t all that long ago that Jessica Aguilar was considered one of the top two or three strawweight fighters in the world. Unfortunately, her UFC career got off to a bit of a rough start, but she got a win in her last fight and now she’ll look to make it two in a row when she faces Weili Zhang in a strawweight contest. Zhang will be a very tough test as she steps into the fight with a 17-1 record, including an impressive win in her Octagon debut. The winner of this fight could certainly be knocking on the door of the top 15 when this is over. With eight wins in a row, including his Octagon debut, Liu Pingyuan will look for number nine when he fights at home in China in a bantamweight affair against newcomer Martin Day. While he came up short in his bid to earn a UFC contract on Dana White’s Tuesday Night Contender Series, Day rebounded with three straight wins to get the call up and now he’ll look to stop Liu’s streak in his first appearance in the organization. Yan Xiaonan has looked quite impressive in her first two fights in the UFC, with back-to-back wins over Kailin Curran and Viviane Pereira. To move to 3-0, the strawweight prospect will have to go through Syuri Kondo, who attempts to bounce back from a TKO loss in her last fight. Prior to that, Syuri was undefeated, including her first appearance in the UFC when she picked up a win over Chanmi Jeon. A sleeper pick for Fight of the Night is this middleweight matchup between Kevin Holland and John Phillips. Holland made quite a name for himself this year first with an appearance on Dana White’s Tuesday Night Contender Series and then with a short notice bout against Thiago Santos that ended up as one of the most talked about fights at UFC 227. Meanwhile, Phillips has earned his reputation with staggering knockout power, and after coming up short in his UFC debut earlier this year, the Welshman will be gunning for a win this weekend. Former flyweight contender Louis Smolka will make his return to the Octagon at bantamweight this weekend for a short notice fight against Su Mudaerji. Smolka has won his last three fights in a row and he’ll look to keep that momentum going when he faces Su, who has gone 3-1 over his past four fights, with all three wins by knockout.